A sanctuary of healing and hope. At our women's healing centre, learn how we assist women desiring to find freedom and restoration from trauma and exploitation. 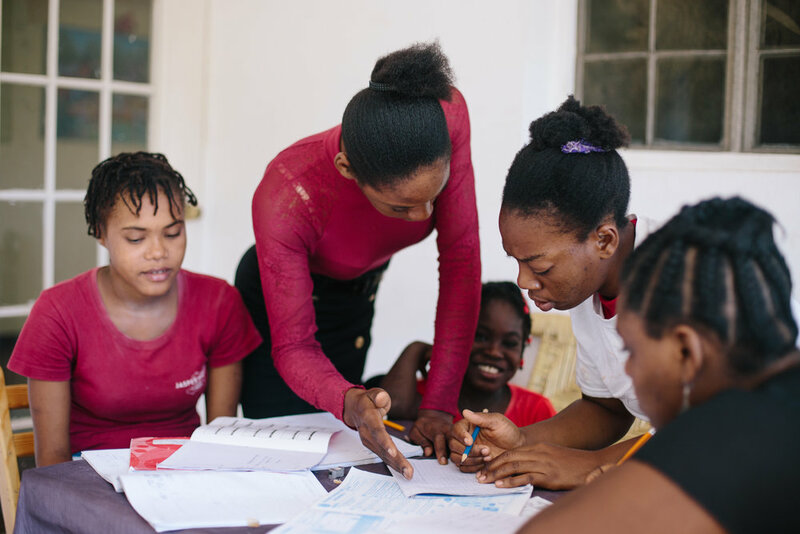 At the Jasper House Haiti Women's Academy for Learning, we believe that giving women the keys to freedom first begins with providing her a quality education. Click to learn more about our educational programs and opportunities. With our social enterprise endeavors, we are taking the skills acquired in our vocational training courses and turning them into pathways for careers and financial stability. Read the latest blog from our founder, Maria Atkinson, as she looks back at all that has been accomplished over the last three years. Turning oppression, tragedy, and misfortune into opportunities for empowerment and renewal for young women in Haiti. The word Jasper means, "to polish," and carries significance of being a most rare and precious stone. Learn about how we apply therapy and counseling to provide our women avenues toward healing and restoration, which teach them about their priceless worth and value. At Jasper House Haiti, we believe if you educate a girl, she can change the world. We provide each of our women the opportunity to learn and grow and expand their academic abilities. In order for someone to truly excel in life, it is our philosophy that they must be given the tools and opportunities to succeed. 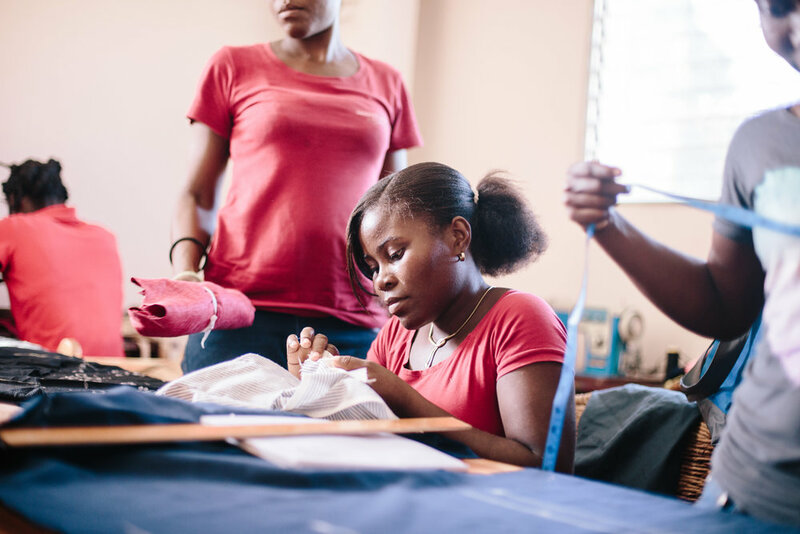 At Jasper House Haiti, we have launched our vocational training programs to provide our women opportunities for employment to regain dignity and control over their lives.